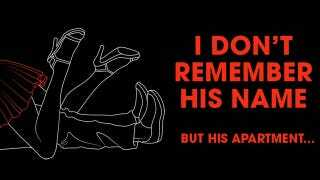 A new ad campaign for MNS Real Impact Real Estate boasts the tag line "I don't remember his name / but his apartment..." His apartment...what? Was so spectacular you'll just die if you don't sleep with him again? Please. A series of five ads show a woman's legs in the air, two people between the sheets, and a man on a bed who's dressing himself. So the message here is "buy a swanky apartment, bag more chicks"? Ryan McCann, MNS chief of marketing, explained the company's thinking to the New York Post as such: "You can make a correlation between the quality of your apartment and the quality of women you get." The promotional website asks visitors to "Share your story about the best apartment you hooked up in," and there are tales aplenty. The dude who banged his Russian cleaning lady in Midtown. The girl who claims she screwed around in Rihanna's bed in Nolita. A guy who said he went home with a "secondary character" on the original 90210 in the East Village (!). Honestly, these stories seem more like fabrications than an actual expression of bragging rights. But we will choose to believe the 90210 one, because it makes us happy.